Ask us what is the difference between Claimspower and the best PPI claims company and we will tell you that there is no difference at all. Claimspower was formed when several managers working in the industry were not happy with the rogue practices that took place in the claims management sector. We felt it was wrong that innocent people like you should suffer further financial over charging that the banks and building societies have been guilty of. As a result, we spotted that there was a clear gap in the market for a no nonsense, honest claims management company that will put the customer first and give a fast efficient service. Coupled with ultra low fees and 5 star service. 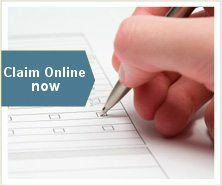 Claimspower.com is a service that you can trust for all your claim refunds, it is no wonder that we have been voted by our customers as the best ppi claims company to use today. Soon to mature endowement mortgages and lots more. In fact we can help you claim back money on excessive bank and credit card charges too. We do this by efficiently preparing and processing claims and utilising our extensive experience in the legalities of this area in order to audit credit agreements on our client’s behalf. Our meticulous approach allows us to quickly identify instances of mis selling which we can submit as evidence as part of a formal claim. Our approach is so streamlined and professional that substantial sums of money are refunded to our clients within no time this is why we are regarded by our customers as the best ppi claims company to use. What Types Of PPI Do We Focus On? For more details of the PPI we cover please refer to our PPI section. But don’t think that this does not apply to you, most people who have made successful PPI claims have only found out that they had been making such a contribution when the PPI scandal first hit the headlines. So, have a look through your financial records now! 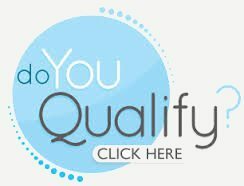 You maybe quietly surprised, we are here to help you get back money that is rightfully yours. Being the best ppi claim company is what we do every day of the week. We have vast experience, it is an area that we are highly skilled in both assessing terms of agreement and identifying if, how and when PPI may have been mis sold. This may have been online, over the phone or even face-to-face. So please contact us today and let our friendly, highly trained experts help you with your claim. Or save lots of time and complete our online claim for it is safe quick and easy to complete so start your claim now.